November is National Novel Writing Month. In honor of NaNoWriMo, here at The Otto Bookstore we want you to tell us a story. But not just any story: a story that you and three others will come up with in the store, live on the spot! Not to worry, you’ll have help. Four evenings in November, The Otto Bookstore is hosting a tournament using Atlas Games’ Once Upon a Time card game. Each evening, four people will try to weave their seven Important Element cards into a tale that the group will co-operatively create. Once all a person’s cards have been played, they must guide the story to an Ending card that only they know. But be careful. If you name an Important Element that another player has in their hand, they get to continue the story themselves! Each evening’s winner will then participate in our championship evening, where they will once again delve into a story world of their own creation, with the winner earning the title of Storyteller… as well as some goodies from us. Our Once Upon a Time event will be on Nov 5th, 9th, 12th, and 16th, starting at 6pm and running until one Storyteller has won two rounds (each round takes between 20 and 40 minutes, so each evening will run from approximately 6pm to 8pm). The championship evening will be Nov 19th, again running from 6pm until approximately 8pm. Sign-up sheets are available in-store, both for those available on a specific night and for those with more flexibility. 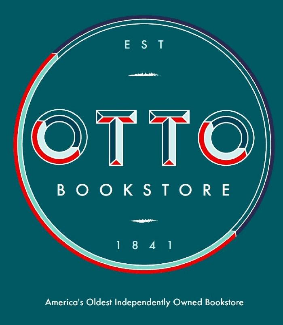 Come to The Otto Bookstore this November and create your own Once Upon a Time!